January 2016: "How to Be Strong Like a Tree"
​Listen to the Guided Meditation, "Be Like a Tree," below. February 2015: "How to Comfort Yourself"
May 2015 - "Let It Be"
September 2015: "Do You Have Pondwater Mind?" November 2015, "Bless Your Heart and Hope to Thrive"
Choose a large wooden bowl and fill it with clean sand. Place it in the middle of your holiday table. Place votive candles, one for each person at the table, in the sand. One by one, have each person light their own candle and say aloud one thing for which they are grateful. That's it. Simple, but powerful. Allow me to share with you what transpired at our family table the first time we performed our "Gratitude Ceremony." Once seated, grace offered, I informed my family what we were going to do. Upon hearing they would have to express something they were grateful for, the usual reactions set in. My two daughters loved it and excitedly began to muse about what they would say. My son did the expected—a deep sigh of exasperation accompanied by a dramatic roll of the eyes. I could hear his mental wheels turning, "Oh, no! Another one of mom's weird things." My daughters went first, thinking it great fun. Each one gently lit her candle and offered a sweet token of verbal gratitude: one for the presence of our loyal, loving dog, the other for friends and family. Now it was my son's turn. He remained eerily silent. "I can't think of anything I'm grateful for," he said and continued to stare into the bowl with the hope that an appropriate gratitude would emerge from beneath the sand. No such luck. I reassured him that it was all right that maybe something would come to him and he could share it later. 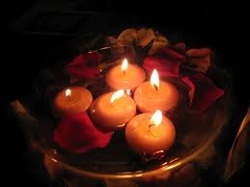 As we ate our meal, the candles blazed brightly. I occasionally glanced at my son, as he gazed into their dancing flames. I knew he was still pondering what he could be grateful for. Our repast came to an end and it was time to begin the monumental task of clearing and washing the dishes. My son halted our movements in mid-stream by his proclamation, "I've got one! I've got a gratitude." He was grateful for the dinner and for all of us being together. His final comment took us by surprise. "I really liked this Mom, this candle thing, I mean. Can we do it again next year?" A chorus of voices chimed in in agreement. Someone asked if we could repeat the whole scenario at Christmas, too. Of course, I said yes. I was overwhelmed by the deepest sense of love and appreciation, deeply grateful for their presence in my life (and I must admit, I felt like doing a victory dance complete with war whoops.) I got them to do one of those "weird" things where we make a special memory and move to a deeper place in our relationships. Chalk one up for the Gratitude Bowl! "Hold it right there," my wise self cautioned. "Stop. Just stop!" I'd done it again. Ignored myself in an unhealthy way. You would think I'd know better, having been on this path of "awakened living" for nearly 20 years. But there are times in any woman's life, no matter how well-intentioned or "wise" she is, she gets caught up in the pace of life. In the period of a few minutes or hours, she realizes her peace is going, going gone and she's revved up like a spinning top. This happened to me just the other day. I was being a good worker bee, getting my To-Do list all checked off, and I suddenly realized my breathing was quite choppy. I'd been gently pushing, pushing to meet some important deadlines and before I knew it, I was feeling eerily discombobulated and stressed. What to do? How do we step off the moving train of our lives and reclaim our balance? I fear that most women don't know how to do this or, if they do, don't give themselves permission to STOP. I often hear women say, "I don't dare stop," afraid that their life-house of cards will tumble down if they step away from the fray. Some don't even dare sit down! This is a sad state of affairs don't you think, when we can't even give ourselves permission to STOP? My "go to" practice when I need to stop, slow the pace, and get back in touch with myself is to breathe: a few deep cleansing breaths, a nice long inhale and and an extra long exhale. 3 rounds of this and usually I am calm as can be. Not this time. Focused breathing did not slow my inner swirling. What next? Choose another tool from my toolbox of inner peace practices. A You Tube search found me engrossed in Oprah's "Dinner of a Lifetime," her dream dinner with her all-time hero, Sydney Poitier. 15 minutes turned into 60 while I watched the entire episode. It was wonderful! I cried and felt 1000% better. Distraction—it's a powerful practice for when you're swept away by faulty thinking, strong emotion, or inability to breathe (wink). It works. Distraction works because the mind can only focus on one thing at a time. And, obviously, if that one thing has zing and emotional appeal, the mind gloms onto and actually settles down. Thank you, Oprah! Be aware, very aware, when you are losing your sense of balance and self. Do something about it before it does something to you. Take charge! Stop. Just stop! And make a wiser choice. Stop, sit down, and have a cup of tea with your Wise Self. She'll remind you as mine did that our personal well-being deserves to be at the top of our "To-Do" list. Stop. Just stop, and love yourself more. The news of late has been filled with woe. Death, disaster and stories of human suffering abound. Many of us have heavy hearts, carrying the weight of the world upon our shoulders. It is a challenging time to be human—and to remain optimistic about the state of the world as it is. If we “lean into Love,” however, everything looks different. Love is the language of the soul, of the Divine. Our inner landscape is one of Love because we come from Love. Love is our source. It is who we naturally are when we are connected to our true self and to the Divine (as we understand it). When we’re not connected to our true self and Love, everything feels negative. We get lost in worry, fear, anger, and despair. This is the landscape of the ego. And because we are fully human beings (as well as divine ones), we can adopt that mindset quite easily. Everything looks hopeless, doomed. The ego has triumphed. Let us not forget, that, on any given day, when the news is bad, we can make a wise choice for our own well-being (and for the well-being of others.) We can lean into Love. We can put on a coat of compassion. Compassion for ourselves because we are disturbed and distraught. Compassion for others who have been captured by their egos and are acting out its hurtful messages. Compassion soothes us, rubs a healing salve on our wounds, and, in time, allows us to make sense of our world. May we always remember that we are creatures of choice. In any given moment, we can choose to align with our true self and keep our heart open to life as it is—with gentleness and understanding. Or we can align with our ego and allow its fear based-messages to close our heart and keep us separated from one another. The choice is always ours. May you choose wisely today. Change your world view. Lean into Love. Have you contacted your wise woman lately? You know who she is, don't you? Her slight whisper is the one you hear when there is a choice to be made. "Go this way or that," her subtle voice urges. Her wrenching grip on your stomach stops you dead in your tracks when something or someone is headed for peril. Even though you may not access her on a regular basis, she is ever-present, the voice of inner knowing that resides deeply within you. There have been times in my own life when my wise woman and I were deeply acquainted. I listened well to her when it came to things like managing my obligations. Through her wise counsel, I heeded her advice to say "No, thank you," when requested to head up yet one more committee or school project. I also listened to her pretty well when it came to matters of the heart, instinctively knowing when one of my children was moving toward a disastrous life choice. And then there were other times when I did not heed my wise woman's call at all and her urgings fell upon deaf ears. Times when I pushed myself too hard and exhaustion set in. Times when I didn't honor my body's needs and did not give it exercise or good nutrition because I was "too busy" to hear her wee, small voice. Today, I find myself smack in the middle of what some call "the wise woman years: (50 and beyond), and her voice seems a bit more recognizable. She is much harder to ignore. It seems that from mid-life and beyond, due to our vast life experience (and bearing witness to the lives of others), we unknowingly combine our worldly learnings with our inner (instinctual) knowing. This brings our wise woman closer to the surface and she can actually companion us through our everyday experiences. She can become the best friend who walks with us daily and speaks her advice to us when we most need it (and even when we think we don't). How do we cultivate this relationship with our inner wise woman? First and foremost, we must accept her as a very important part of who we are. She is vital and profound, not to be dismissed by ourselves (or others) as silly or frivolous. She is wise counsel, a gift from our spirit, to help us along the way. She has our best interests at heart and desires only for us to be truly whole - body, mind and spirit. Because she beseeches us to live in balance, it may mean that for the first time in our lives we must begin to take good care of ourselves. Any woman who has been faced with issues of self-care knows that when we become passionate about our well-being, we must prioritize and find the time and space to do so (whether it be exercising, relaxation or engaging in self-nurturing activities). Despite their love for us, sometimes our families and their ever-present needs deter us from doing so and, once again, we find ourselves on the back burner of life headed for depletion. A second way to get in touch with our inner wise woman is to cultivate, her presence through journaling. 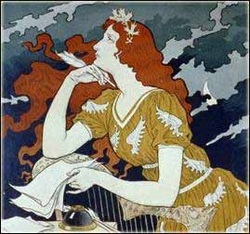 By putting pen to paper, simply writing to ourselves, our wise woman can emerge to reveal all kinds of amazing things. In my own life, when I unearthed the courage to write out my thoughts, she emerged from the ink to tell me what I was angry about, what I was holding onto, what needed to be let go. In short, ways that I was stuck in many areas of my life: relationships, career, parenting, and so on. Through honest self-revelation, wise woman was there to help me, bringing greater wholeness into my life. She was a loyal companion to my tears and the shedding of an old self that was laying dormant, ready to be brought to the light of day. Writing, today, still remains therapeutic for me. It seems that whenever I begin the task of writing, I can see wise woman languishing on the top of my computer, a knowing grin on her face, eager to journey with me one more time. Dreams can also be a forum where wise woman speaks. By paying attention to our dreams, we can begin to address areas within us that beg for healing. Keeping a dream journal is helpful here. Simp.y take a notebook and record your dreams upon waking. Doing this over an extended period of time can reveal themes and patterns. This is particularly helpful in times of duress and life transition. Wise woman can show us where we are struggling, what we are worried about or patterns of behavior that are not helpful to us. One book which I have found to be very beneficial in working with dreams (and inner wisdom in general) is The Intuitive Healer: Accessing Your Inner Physician by Marcia Emery, Ph.D. Within its pages are dozens of exercises to explore our dreams as well as guided meditations that can assist us in tapping into our inner wisdom, the wisdom that can move us toward total well-being. My hope is that you will not wait until the dawning of your wise woman years to develop a meaningful relationship with this source of inner wisdom. 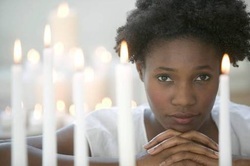 Wise woman is here for you now and she can serve as a trusted helpmate for your life journey. May you trust in her wisdom, your wisdom, and discover the inner wellspring of insight and healing which is there waiting just for you. © 2012, Janice Lynne Lundy. All Rights Reserved.